Emmaus Bible School (now called Emmaus Bible College) was one of the best things that ever happened to me. I had only been a believer for about a year and a half when I enrolled there, and while I had learned a lot from my personal study of Scripture and from those whom the Lord had put in my life to disciple me, I still came to Emmaus pretty rough-hewn. There were many things I would still need to learn after I left, and several of them I’m still working on. (For example: I was very immature and undisciplined, and at least now I think I’ve got the immature part under control.) But while I was at Emmaus I received a thorough grounding in the basics of biblical content, interpretation, and systematic theology. The faculty was wonderful, the students were great, and I count all of them among my favorite people in the world. Thanks them I was able to accomplish in a couple of years (yes, I was on the infamous “two-year plan”) what would have surely taken me a decade on my own. Emmaus provided a solid foundation for my subsequent academic career, and so much of what I learned there continues to positively impact my life today. V. Paul Flint guided us through a survey of the New Testament, while Jim Catron took us through the Old Testament—and (in his Romans class) acquainted us with John Murray‘s classic, The Imputation of Adam’s Sin. Bob Ramey skillfully introduced us to the issues related to the Christian life, as well as to the deeper areas of systematic theology. Dr. Dave Reid’s approach to biblical exposition (“historical notes, doctrinal points, practical lessons”) was a tremendous help, as were all his classes, and Ken Fleming’s Introduction to Missions course instilled in me a deep appreciation for the Great Commission and the sacrifices so many have made for it. I wish I had continued in Dr. Jack Fish’s New Testament Greek course; that was a decision I would pay for later when I decided to pursue graduate studies. I also wish I had time to thank everyone personally for helping me move one or more steps further along in my Christian life. Virtually everyone in the picture above, and many more from the following academic year, would be included in that thankfulness. Over the past three decades it’s been exceedingly difficult to keep in touch with those who have meant so much to me. As one of my favorite groups from the ’70s, America, sang, “I been one poor correspondent / and I been too, too hard to find / but it doesn’t mean you ain’t been on my mind.” I think about everyone I knew at Emmaus quite often, in fact. Fortunately for me, I did manage to keep one relationship going since then. 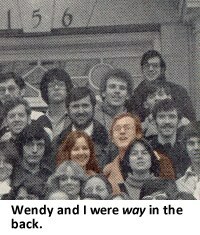 My wife, Wendy, and I met during the fall quarter of 1977. We celebrated our 29th wedding anniversary on August 4. 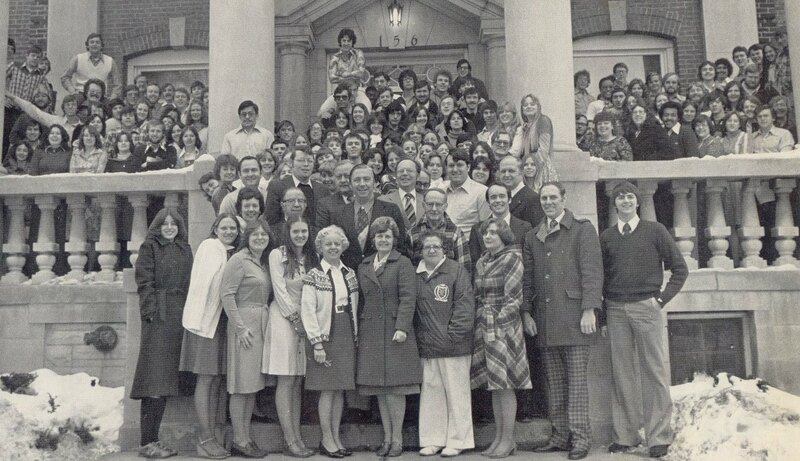 We would both be happy to hear from any Emmaus alumni who happen by this blog.